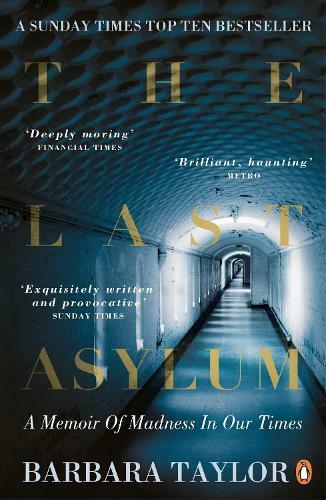 The Last Asylum is Barbara Taylor's haunting memoir of her journey through the UK mental health system. A RADIO 4 BOOK OF THE WEEK SHORTLISTED FOR THE RBC TAYLOR PRIZE In July 1988, Barbara Taylor, then an acclaimed young historian, was admitted to what had once been England's largest psychiatric institution: Colney Hatch Lunatic Asylum, later known as Friern Hospital. This searingly honest, thought-provoking and beautifully written memoir is the story of the author's madness years, set inside the wider story of the death of the asylum system in the twentieth century. It is a meditation on her own experience of breakdown and healing, but also that of the millions of other people who have suffered, are suffering, will suffer mental illness. 'Personal story, psychoanalytic process, the experience of madness, the feel of being an inpatient in the last days of Friern, the history of the asylum . . . A beautiful memoir, engrossing' Independent 'Moving, brave and intelligent' Susan Hill, The Times 'Dazzling. A great achievement, full of life and hope' Sunday Telegraph Barbara Taylor's previous books include an award-winning study of nineteenth-century socialist feminism, Eve and the New Jerusalem; an intellectual biography of the pioneer feminist Mary Wollstonecraft; and On Kindness, a defence of fellow feeling co-written with the psychoanalyst Adam Phillips. She is a longstanding editor of the leading history journal, History Workshop Journal, and a director of the Raphael Samuel History Centre. She teaches History and English at Queen Mary University of London.